Hey everyone, I haven't updated or kept up with my blog for a while. School, work and life has been keeping me on my tippy toes! With that said, I haven't been able to experiment much in the kitchen, which now, after saying it, is sort of making me sad... BUT on a brighter note, I am doing wonderful in school, work is exciting, life is colorful, so now I just need to squeeze in some personal kitchen time, then I'm pretty sure this is about as perfect as it gets! 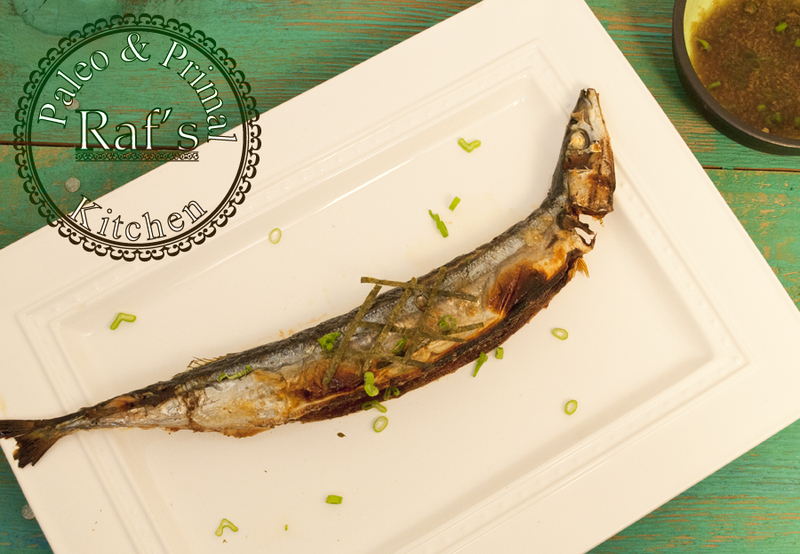 Today, I am making a tried and true Boiled Sanma (Pike Mackerel) with a Paleo Ponzu Sauce. A very easy recipe that I really enjoy! So lets not delay this any longer, nothing makes a person smile more than a delicious meal! 6. Put the sanma in the oven and let it broil for 7 minutes per side, flipping them carefully. 4. Add the freshly grated ginger and diced green onion to the vinaigrette and mix thoroughly.